AJI BOY He may be small because he is just a kid, but Ajiboy is not just any kid. Quick-witted and smart-mouthed, he is entrusted by his father Fauzan to manage and care for Malacca's Water Theme Park for a short while as he has matters to attend to. However, Ajiboy's abilities are doubted by Cumi and Mat Saja, the park's supervisors who love to take advantage of their positions by giving freebies away to women. When Ajiboy finds out, he decides to punish the two by demoting them to menial cleaning tasks, which prompts them to commit a betrayal. 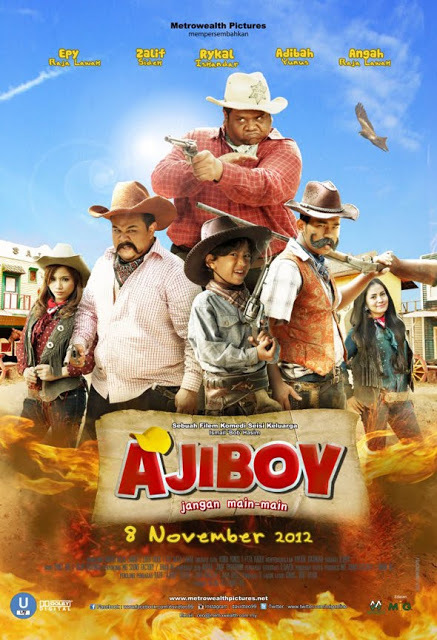 As if he does not have his hands full already, Ajiboy has to find a wife for his father in order to fulfil his deceased mother's wishes.